A major agency within the US Department of the Treasury is planning to track the movement of smart phones, computers and other office assets in a new blockchain pilot project. The Bureau of the Fiscal Service’s Office of Financial Innovation and Transformation (FIT) said yesterday that it has hired an as-yet-unnamed contractor to build a prototype system in order to “track and manage physical assets (for example, computers, cell phones, and the like).” Formed in 2012 through the merger of two separate agencies, the bureau is chiefly responsible for borrowing money to fund the government as well as handling interagency payments and accounting. The bureau will test whether its physical assets can be monitored and reconciled in real-time as they are transferred from person to person throughout the pilot, using blockchain to create a digital record of those exchanges. Beyond that application, FIT will explore other use cases in order to see how the tech may be used “to improve the way it manages the government’s finances,” according to the agency. According to today’s announcement, the blockchain test is one of two being launched by FIT. The other will see the bureau develop automated programs for streamlining its financial management processes. “There are many exciting innovations coming out of the commercial sector that can be applied to federal financial management. I hope that these two pilot projects identify the opportunities where the innovations will have the most impact on efficiency, accountability and customer service,” John Hill, assistant commissioner for FIT, said in a statement. 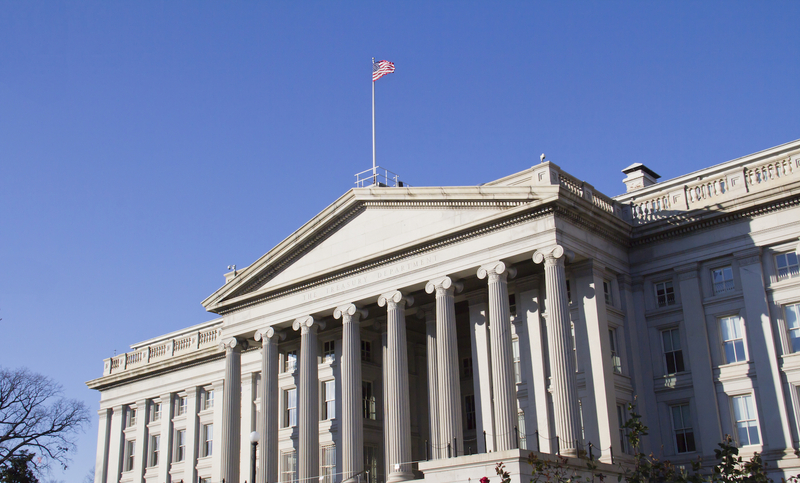 With the pilot, the Bureau of the Fiscal Service becomes the latest agency within the US government to actively assess how it might use blockchain to enhance or streamline its operations. For example, the General Services Administration wants to test the tech for reviewing IT-related contract bids from vendors, and the State Department is looking at diplomatic applications as well.